Virginia Rhodes, Ed. D. is the founder of Renegade Learning--a company dedicated to replacing "factory-model" schooling or workplaces with dynamic, active & engaging models that combine student/worker voice concepts with teacher/worker-powered dynamic leadership. She's a former urban high school teacher and policymaker-turned practitioner as she grew urban education leadership as the founding principal of the largest public urban STEM High School in the US. After her policy service on the school board, she returned to practice as an assistant principal, then became a transformative Principal at several of the city’s toughest schools. Rhodes started Ohio’s first public environmental high school, then joined the collaborative and dynamic teacher planning team for Ohio’s most ambitious STEM project. Rhodes holds degrees from Antioch College, Indiana University, and the University of Cincinnati and uses stories from her challenging and transforming personal and career experiences to energize an audience with hope & determination for their redoubled efforts to build high-quality schooling and collaborative workplaces. Dr. Rhodes was raised in rural poverty in South Carolina, the daughter of a dairy farm manager and a working mother. The first of her family to attain a 4-year degree, her work has been to create schools in which the poorest students could find a rich learning environment. Rhodes' insights into life and schooling come from the barriers and obstacles she overcame in becoming a prominent educational leader in the midwest. She is known as a researcher and innovator, co-designing the unique T2 hiring process for teachers, developing externships, and taking risks by working collaboratively with teacher-leaders in the field. Her study analyzing Ohio's "big eight" districts exposed the high cost of excess student mobility in city schools and pointed the way to policy improvement that could stop the revolving door. Rhodes travels, including international conferences, and loves learning from the culture and history of other countries. Her presentation on "Using Green, SEL and STEM Strategies with Urban Youth" was well-received in Istanbul, Turkey and opened dialogue with educators working with youth in war-torn areas of the world. "In the workplace, community, or in schooling, the most dynamic situation is people who come together to address problems in a disciplined way, while remembering that solutions are all about people, and must respect culture, the individual, and the community at all times." Rhodes, a gifted speaker, founded Unified Solutions, Inc. in 2002, and Renegade Learning LLC in 2012 to assist school and other community organizations in producing dynamic problem-solving results in their organizational development. 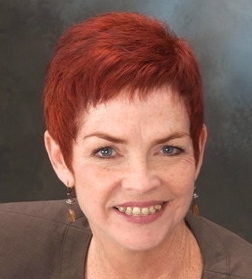 Find out more about Dr. Virginia Rhodes at http://www.linkedin.com/in/virginiarhodes.